Our name ALVARA is composed of "all" and "wardą", which means "protector" or "defender". With our experience and innovation, we stand for protection and security in all payment transactions. We develop individual IT solutions and services for our clients to allow for the complex clearing of any payment – from the retail customer, to the cash-in-transit company, to the financial institution. 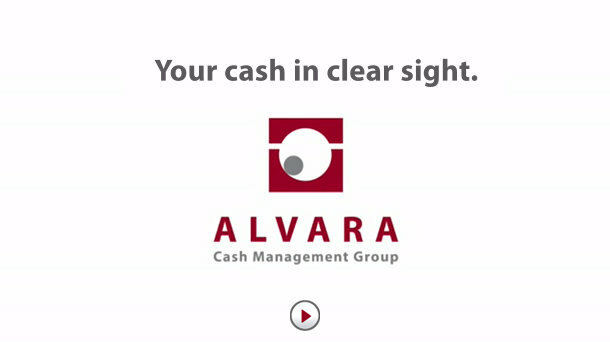 ALVARA Cash Management Group AG has extensive knowledge of the industry, which allows us to understand the interests of all stakeholders in the banking and retail sectors as well as those of the cash-in-transit companies, and also to establish secure links between payment flows. Future Payments – Together with our clients, we are already developing tomorrow's ideas today. Thanks to the latest technologies and close collaboration with our clients, we incorporate market requirements and current trends into the development of our products at an early stage. As a result, our clients benefit from great process security and significant cost savings. ALVARA, with its expertise in project management and software development processes, guarantees the highest operational standards of reliability and quality. All solutions are provided using a certified data center with locations in Germany. Any content is therefore subject to strict privacy regulations. Our clients can rely on our service and support team around the clock on 365 days per year. At ALVARA, the team takes center stage. Our experts work closely with the developers when implementing the projects. Continuing education and our team developing and shaping the future of the company are part of our established practice. This enables our employees to implement their solutions quickly and efficiently with great enthusiasm and creativity.